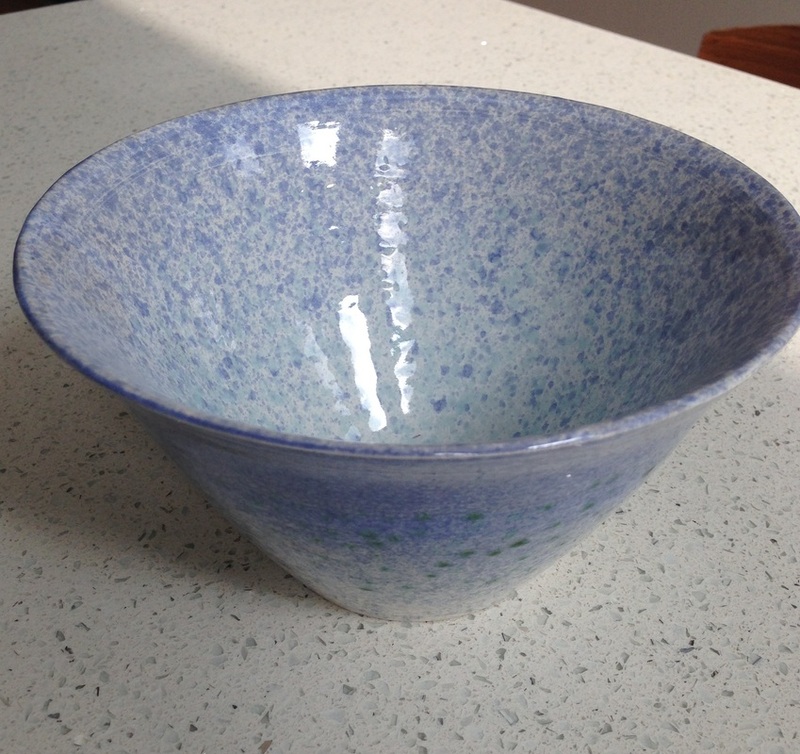 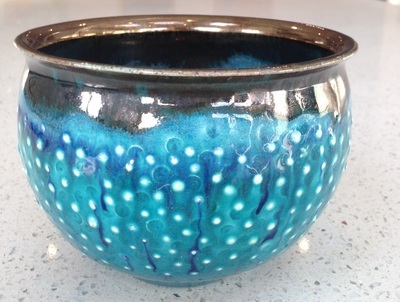 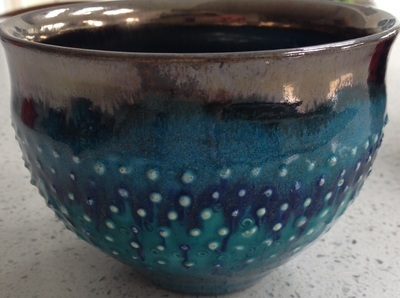 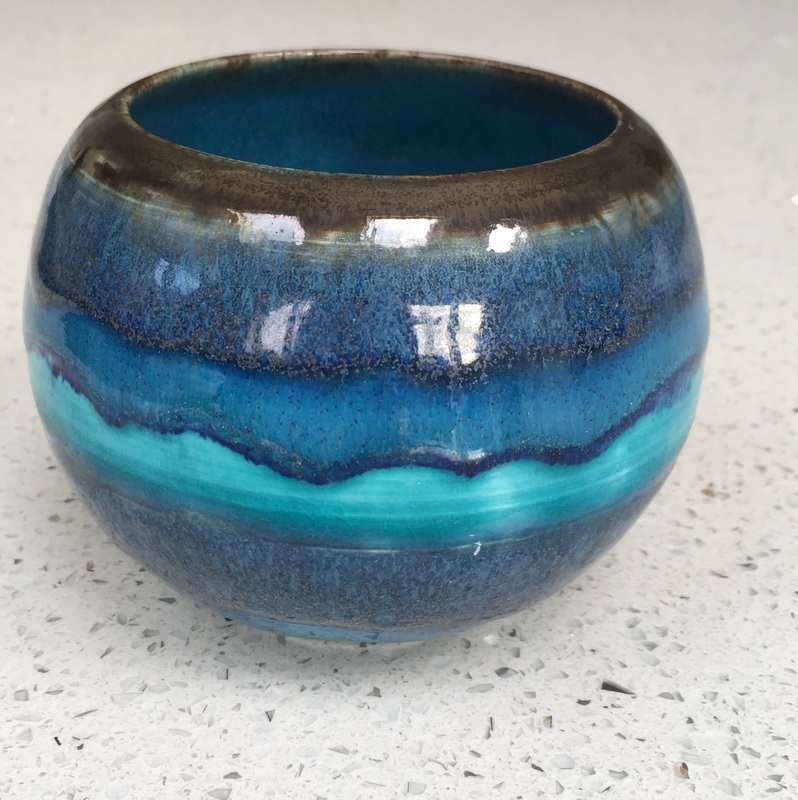 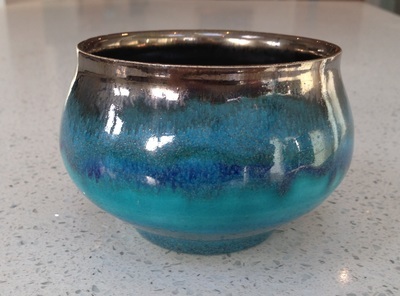 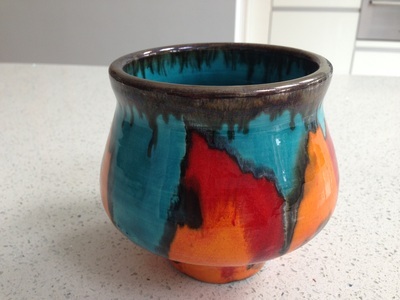 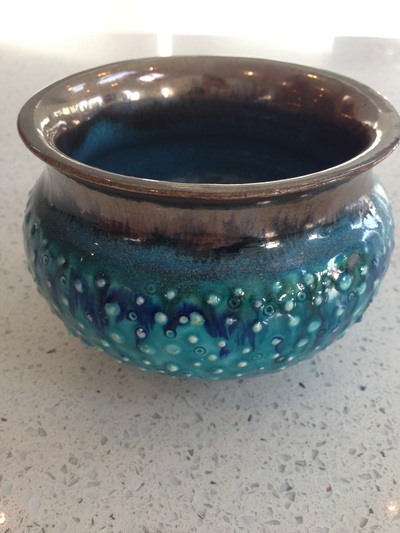 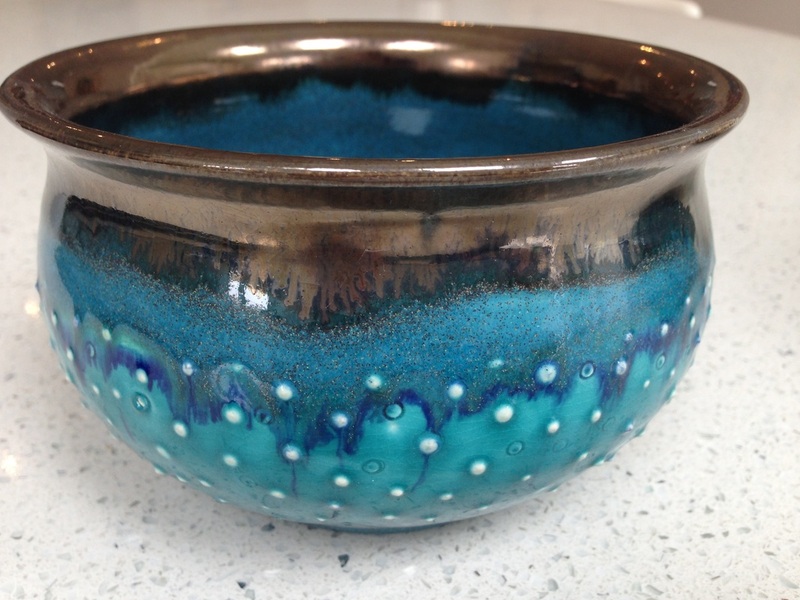 Lately I have been using the colours of the ocean on my earthenware pots; blue and turquoise shiny glazes to reflect my passion for the sea. I use them in combination of various textures - dots, bumps and spikes - to balance out the smoothness of the glazes with some tactile challenge and excitement for the touch. 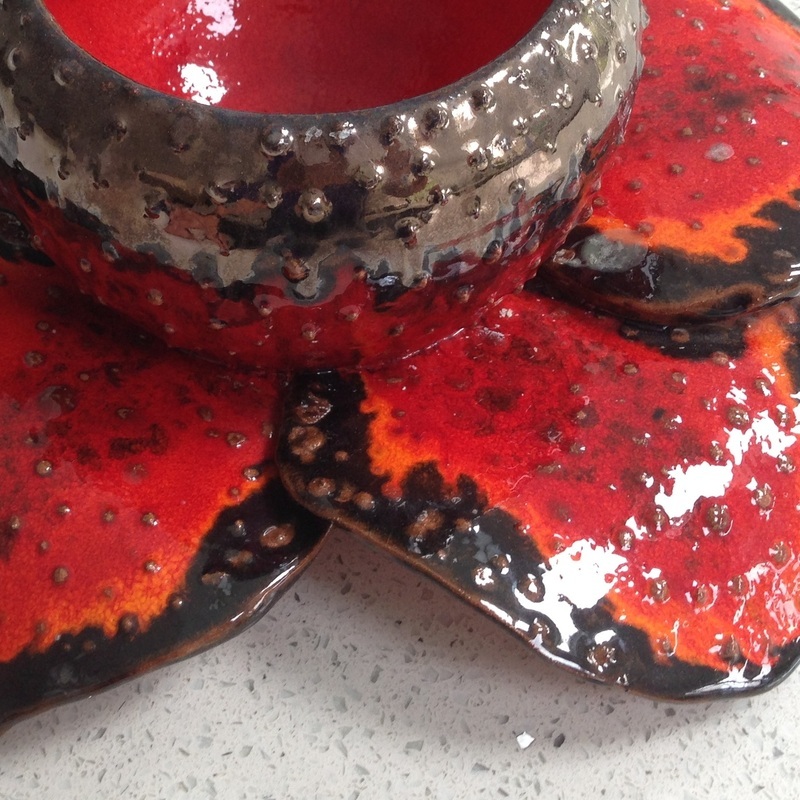 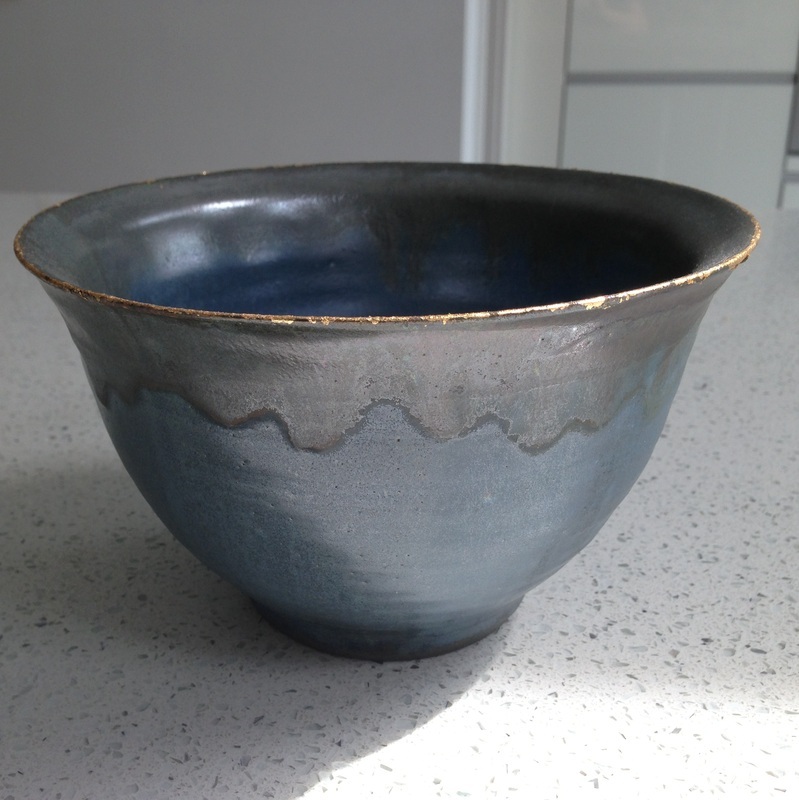 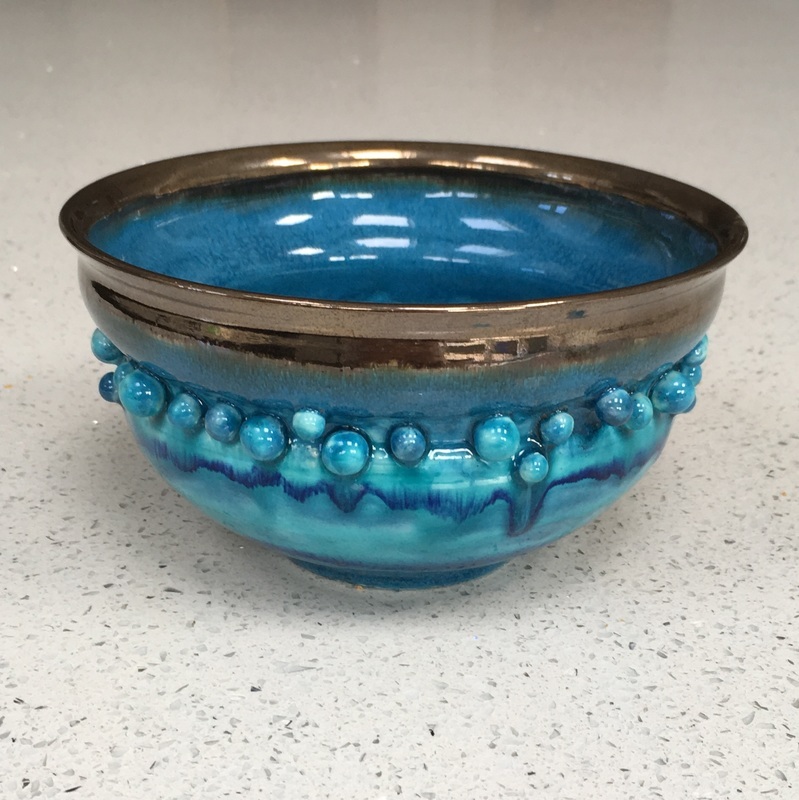 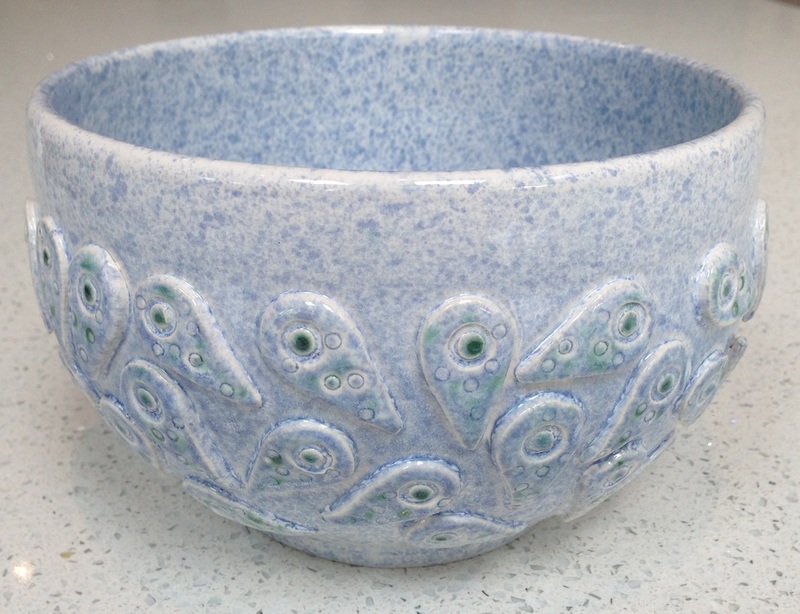 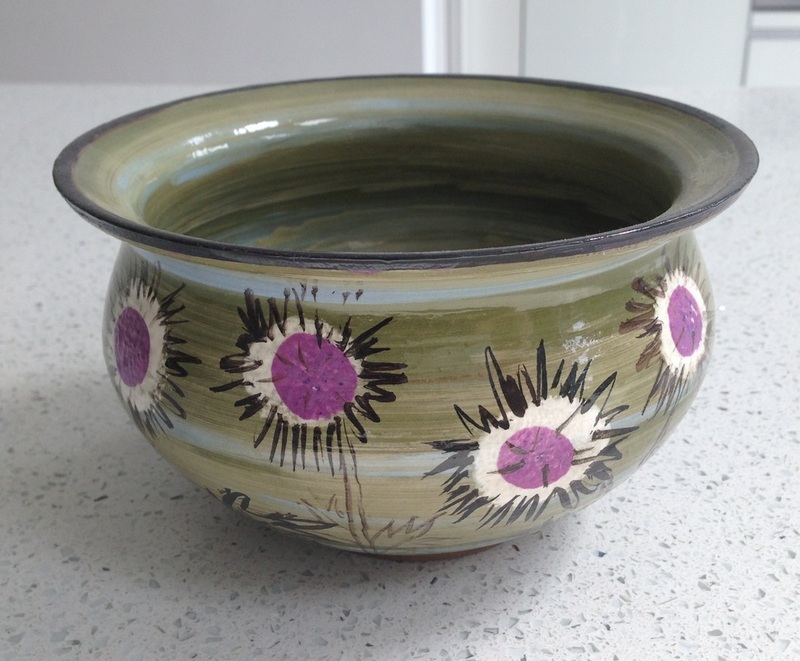 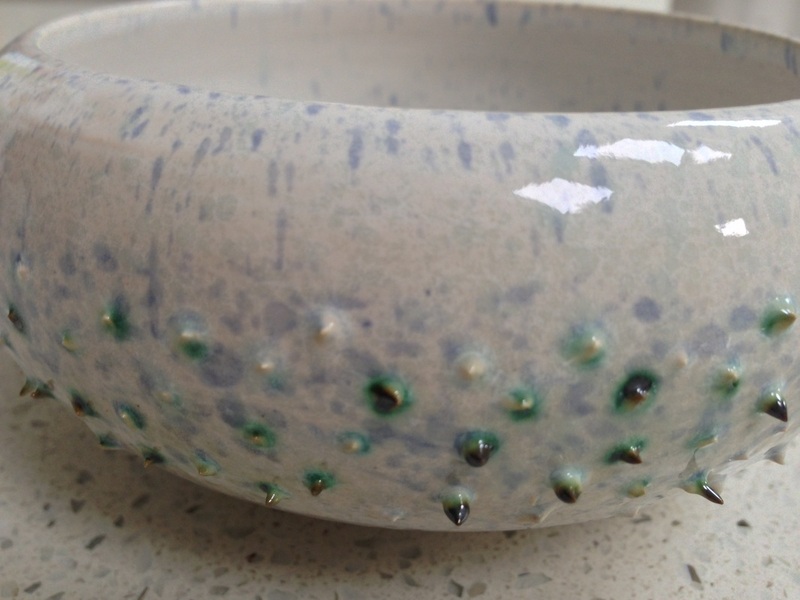 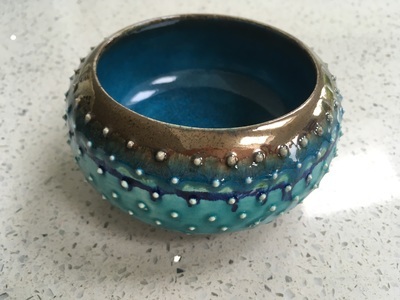 The inspiration for these pots initially came from ancient Chinese bronze vases - I was drawn to the symmetrical knots and bumps on their surfaces. 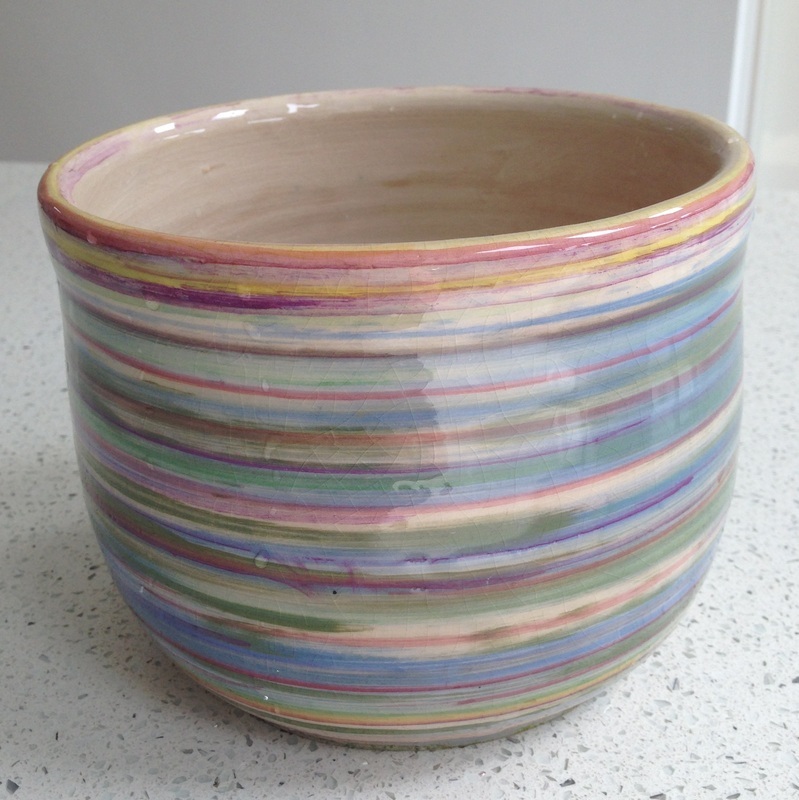 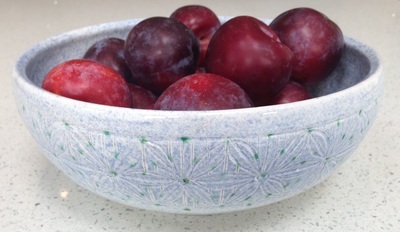 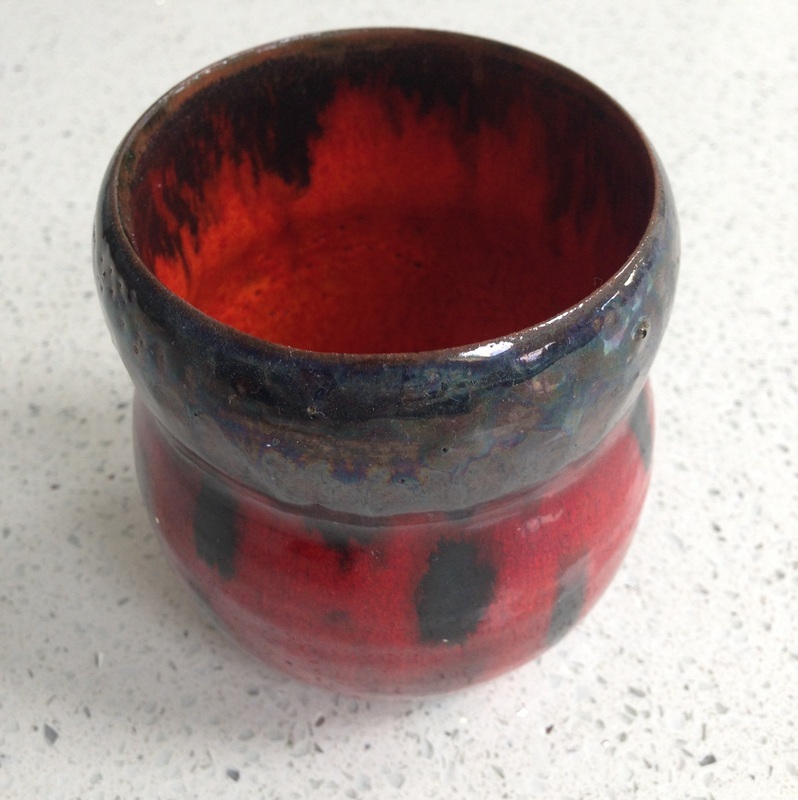 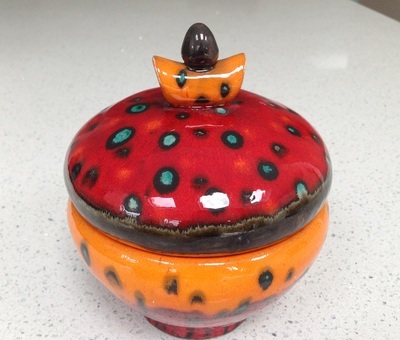 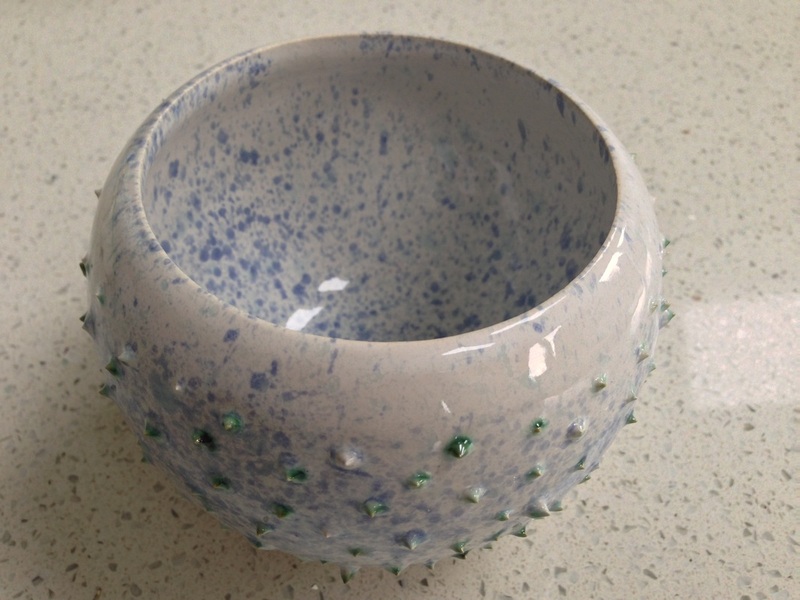 After attaching 'bumps' and spikes onto my pots, I felt an irresistible urge to pick them up, feel them in my palm. 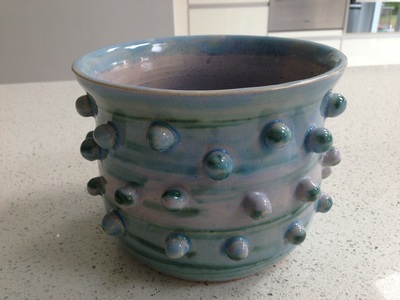 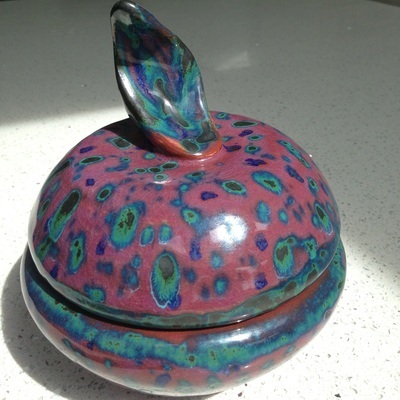 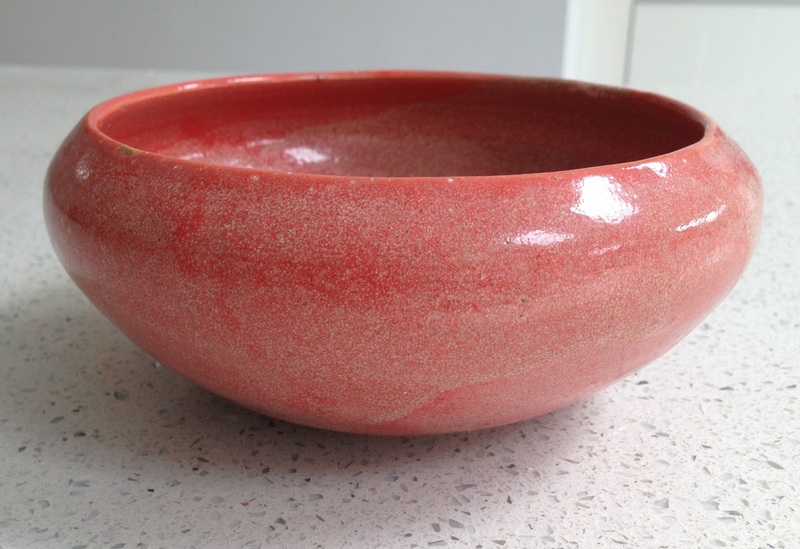 I believe they communicate something of the potter's tactile joy of handling and shaping clay to everyone else. 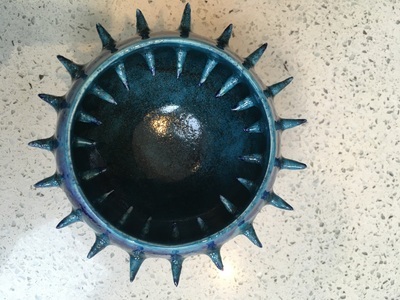 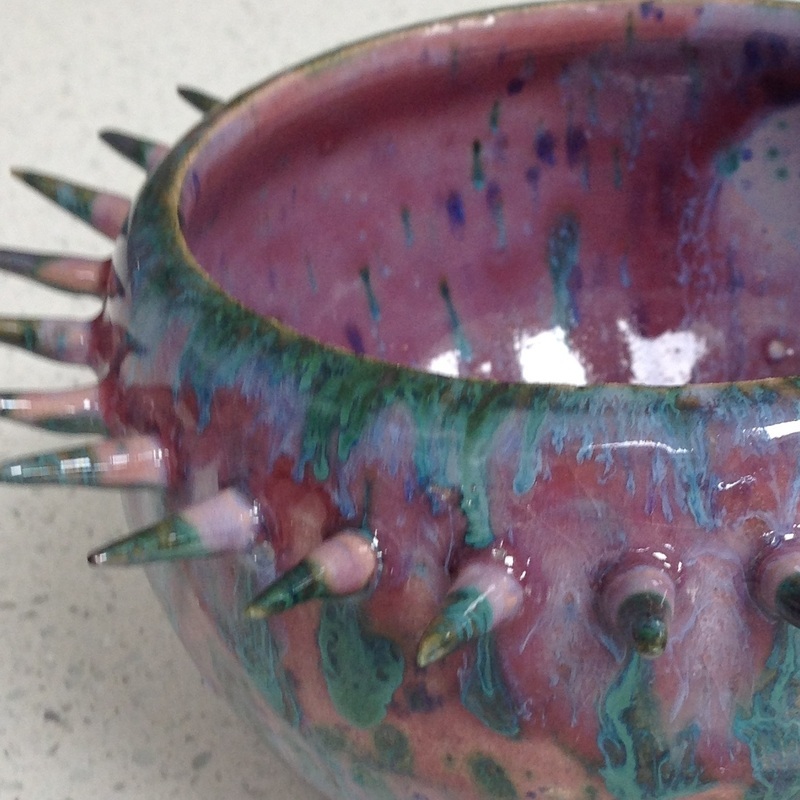 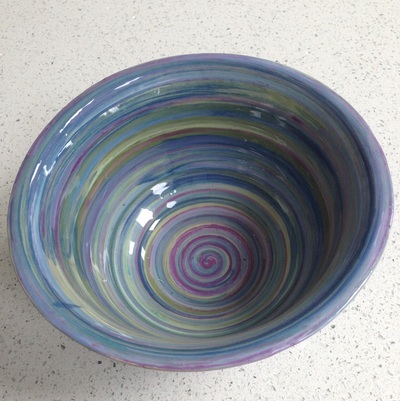 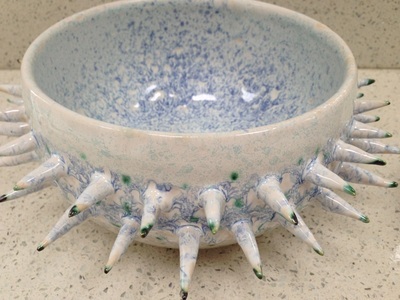 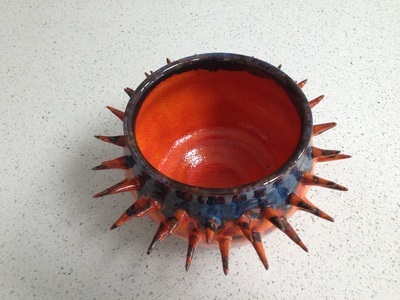 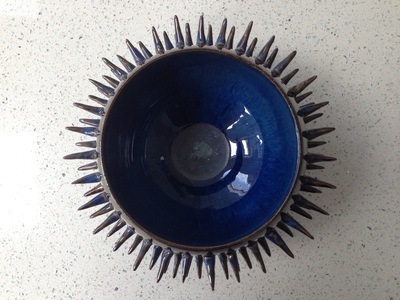 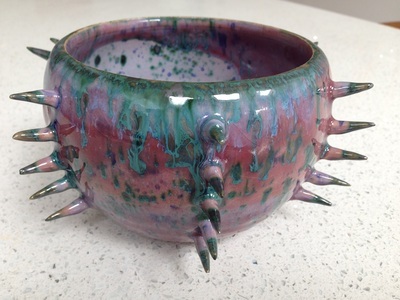 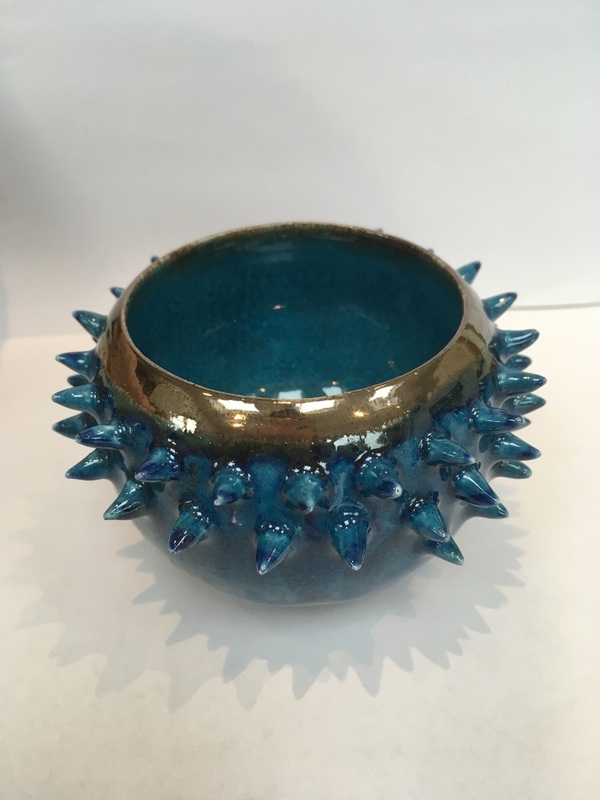 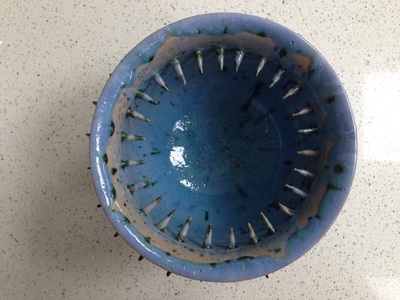 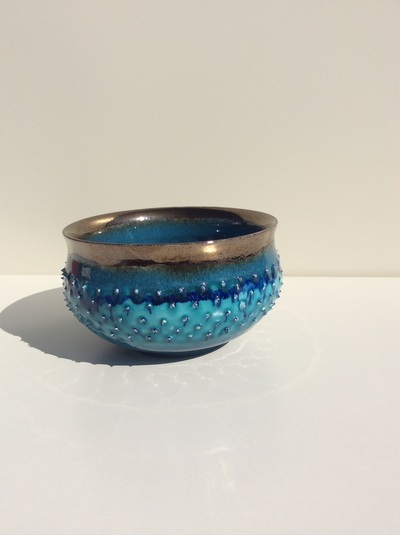 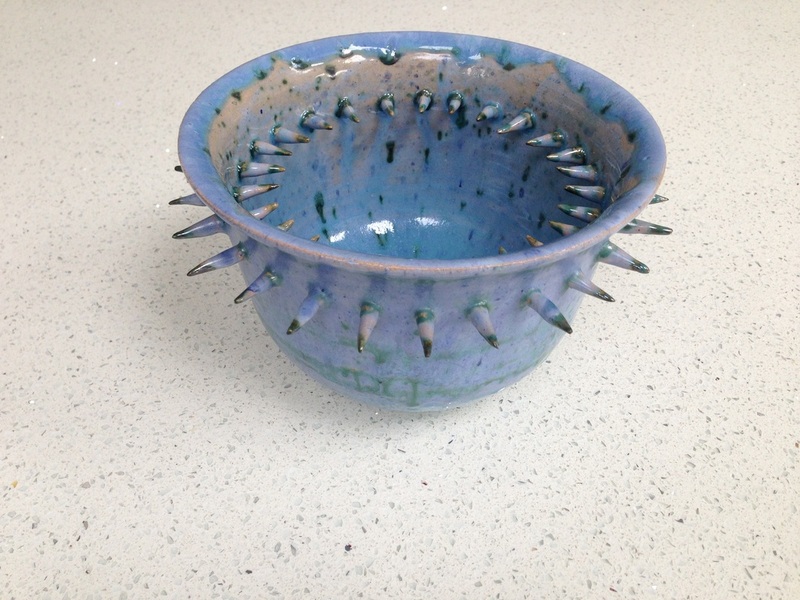 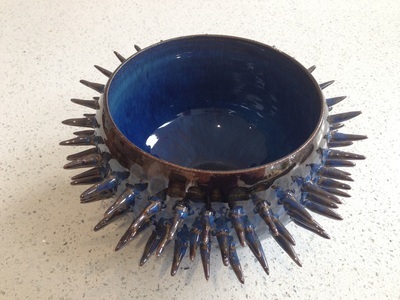 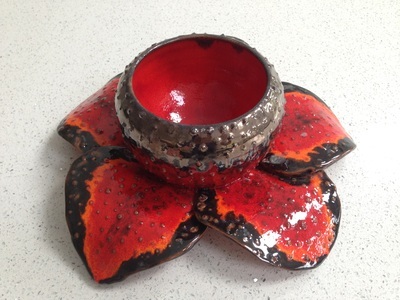 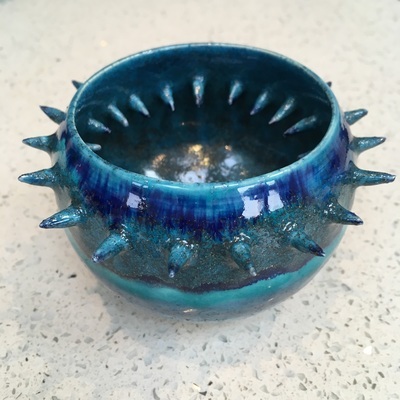 With each bowl the spikes became bigger and sharper - taking inspiration from the punk movement. 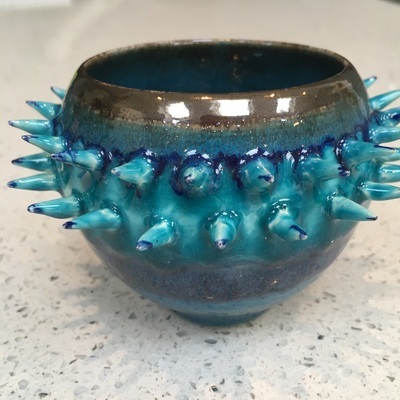 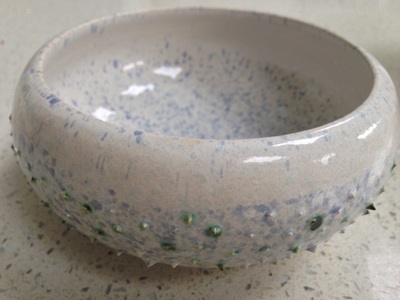 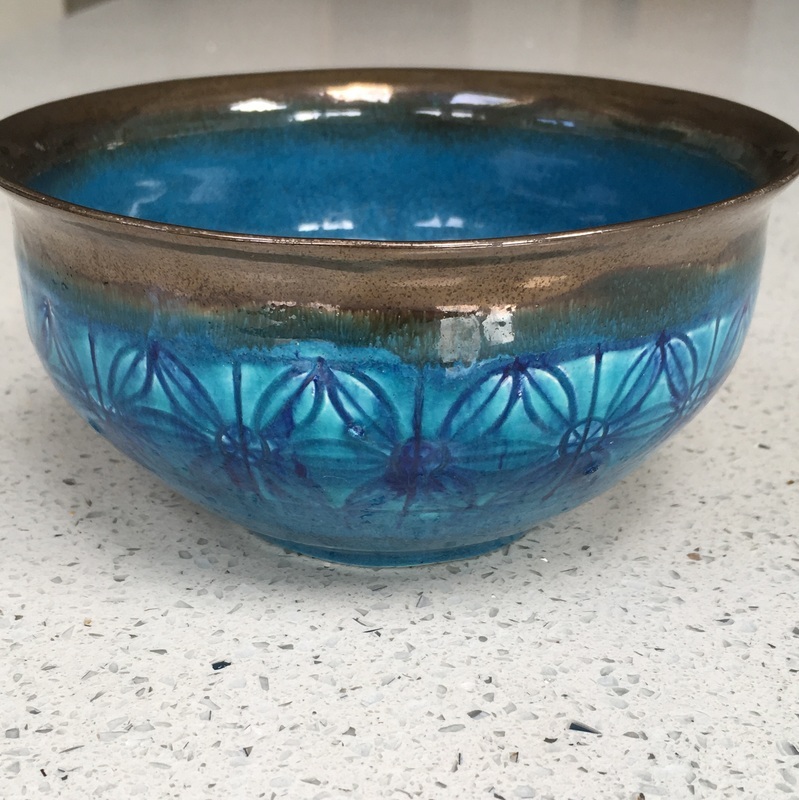 I wanted to play with, and express a contradiction between the often clean image of pottery craft, its smooth glazes, its domestic usefulness, and the sharp texture of delicate prickly spikes. 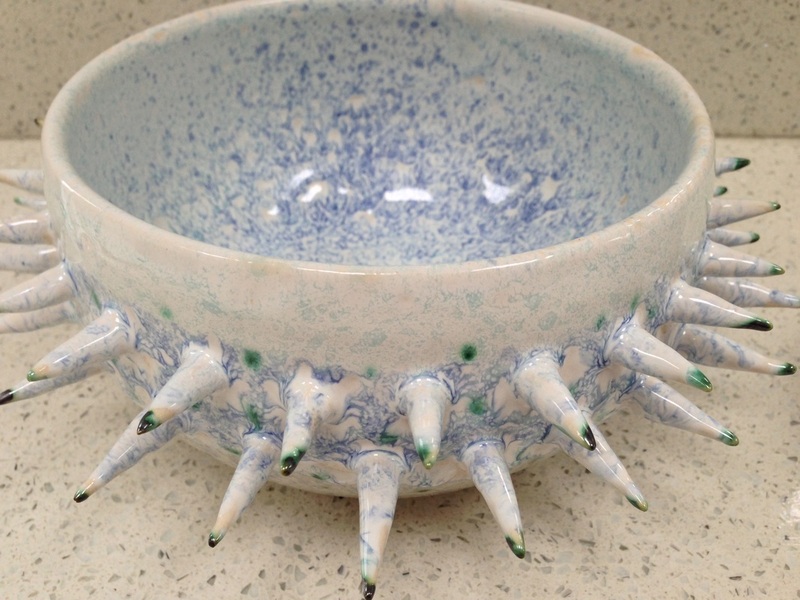 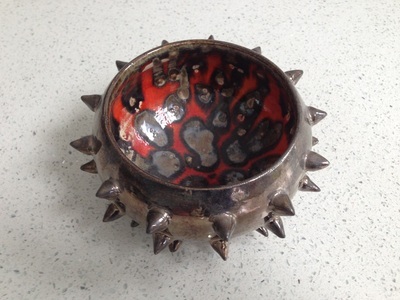 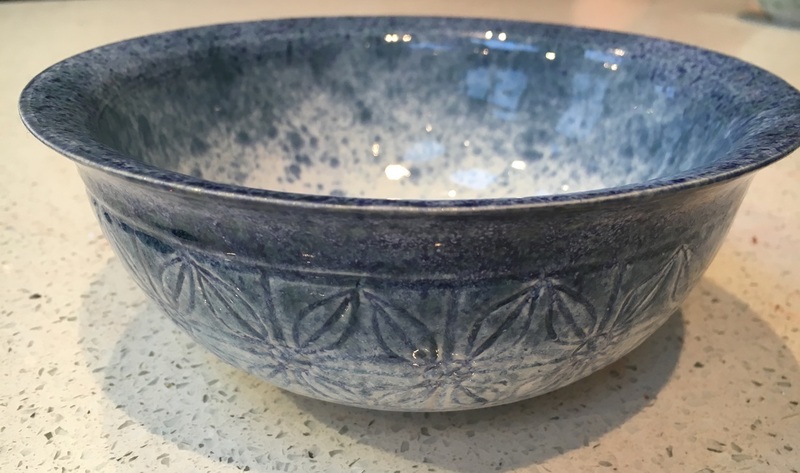 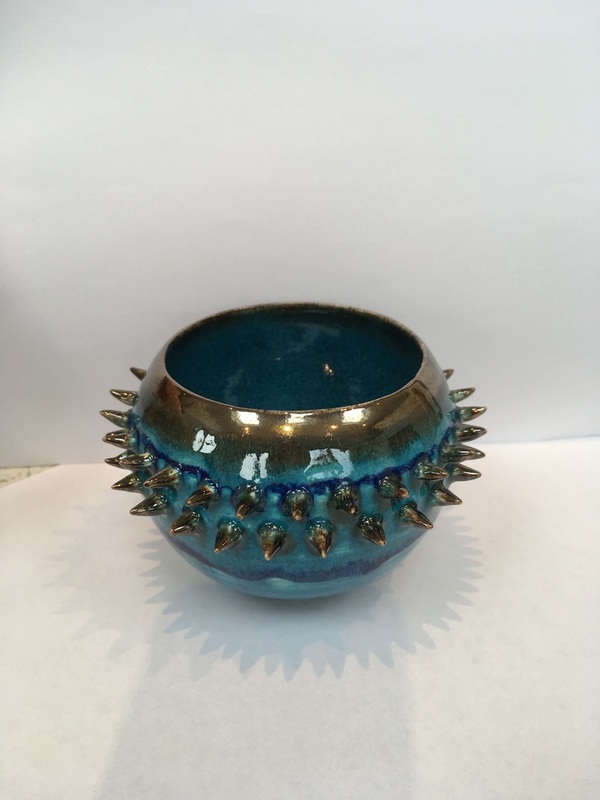 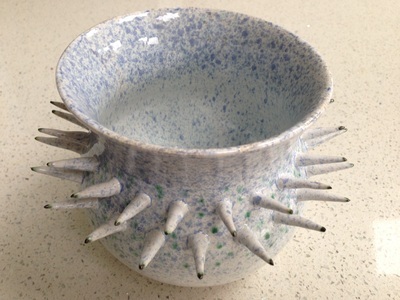 One step further, the bowl was pierced through with spikes - making it irredeemably 'useless' , rebellious - thus evoking the youthful punky rebel within us all. 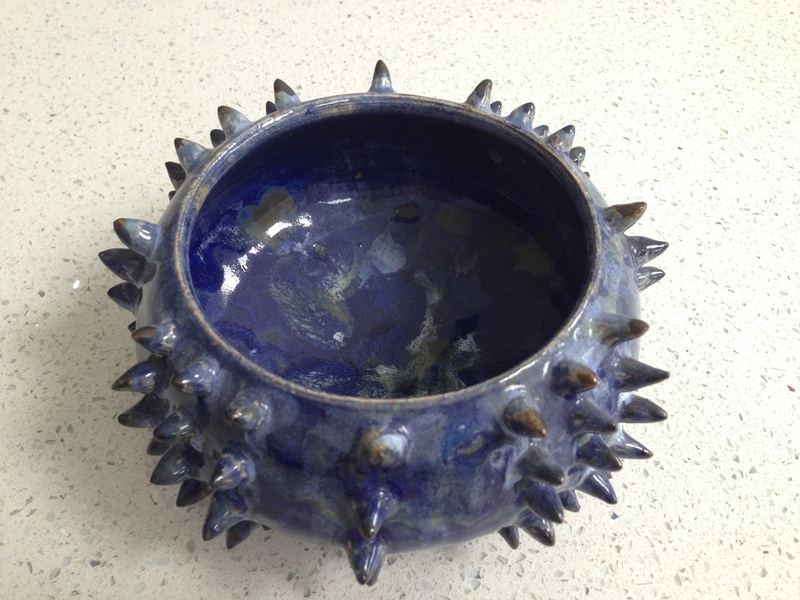 You can say they also represent the person within: a mixture of smoothness and grown surface spikes.